The University of Sydney has been excavating the World Heritage listed site of the ancient Hellenistic-Roman theatre of Nea Paphos, under the auspices of the Department of Antiquities of the Republic of Cyprus since 1995. The project is directed by Dr Craig Barker with support from Emeritus Professor J.R. Green and Dr Smadar Gabrieli. Our project aims to investigate the archaeology of the theatrical precinct of north eastern Nea Paphos and to investigate the importance of theatrical performance in Hellenistic and Roman Cyprus. the excavation project is also researching the urban layout of the ancient capital of Cyprus. Here you will find all of our latest research, project aims and methodologies, information about upcoming field seasons, our education dig blog, teaching resources and the project's archive which pulls together two decades of archaeological activity. Like what we do and want to support us? 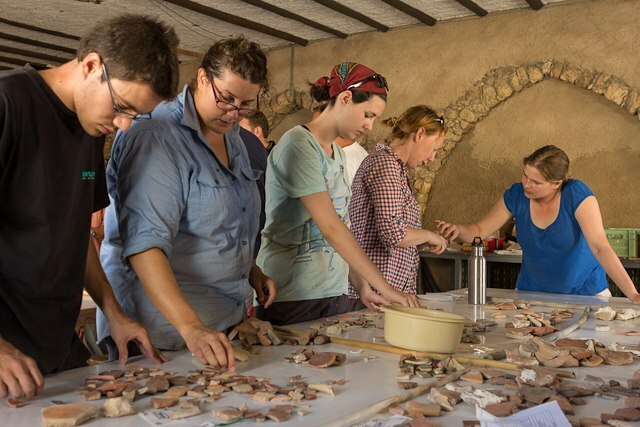 You can support the Paphos Theatre Archaeological Project as part of the University of Sydney's Inspired crowdfunding project. Donations are tax deductible. Alternatively you can buy our official dig tea-towel or﻿ contact us﻿ directly to make a donation. The theatre precinct in north eastern Kato Paphos is an ever-evolving research project. Find our mission statement, the history of our excavations and theatre as well as more about our team here. Here you will find a full list of the academic and popular publications produced by our directors and specialists on the ongoing work and findings of the Australian Mission to Paphos. Two decades of archaeology has created a rich archive of preliminary season reports, media releases, photographs, events, exhibitions and cultural collaborations. 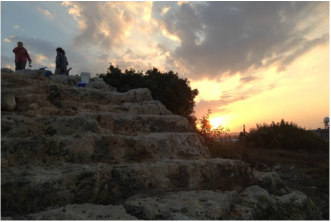 We rely on the generosity of our supporters to continue our archaeological work in Paphos. Find out how you can contribute here. Each season our students, volunteers, specialists, trench leaders and dig directors take to the blog to share the day to day work, sweat and adventures of life on a dig. Get all our latest news from the team including media releases, new articles and announcements for our next season's work. The excavations are conducted by the University of Sydney on behalf of the Department of Antiquities of Cyprus. The project was initially funded by the Australian Research Council (ARC). 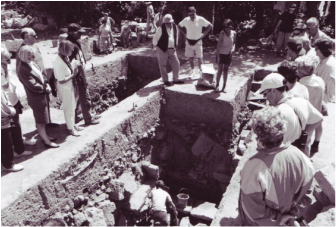 The excavations have received financial sponsorship from the AAIA (Australian Archaeological Institute at Athens) since 2009, and has been the official excavation project of the Nicholson Museum since 2011.